Hello Doodlebug fans!! It's Monique today sharing two of my layouts created with the new "Fun In The Sun" collection. This is such an incredible collection! and so versatile!! 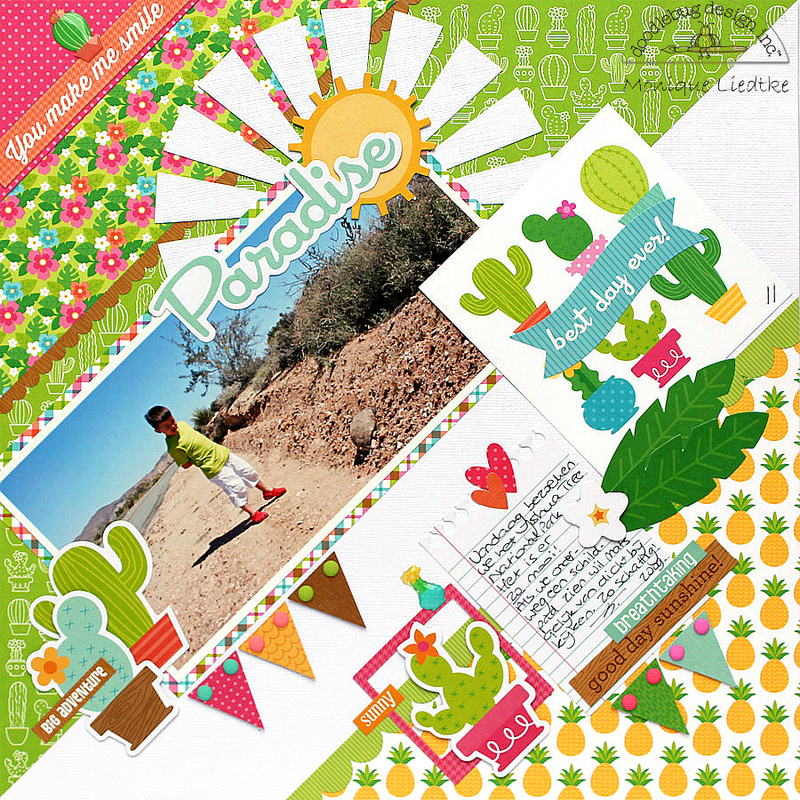 To showcase just how versatile I decided to use this collection for both a "beach" layout and a "national park" layout. Here's my first layout, the "Beach" layout. I started this page with the beach umbrella background cut file and adhered several different patterned papers behind it. 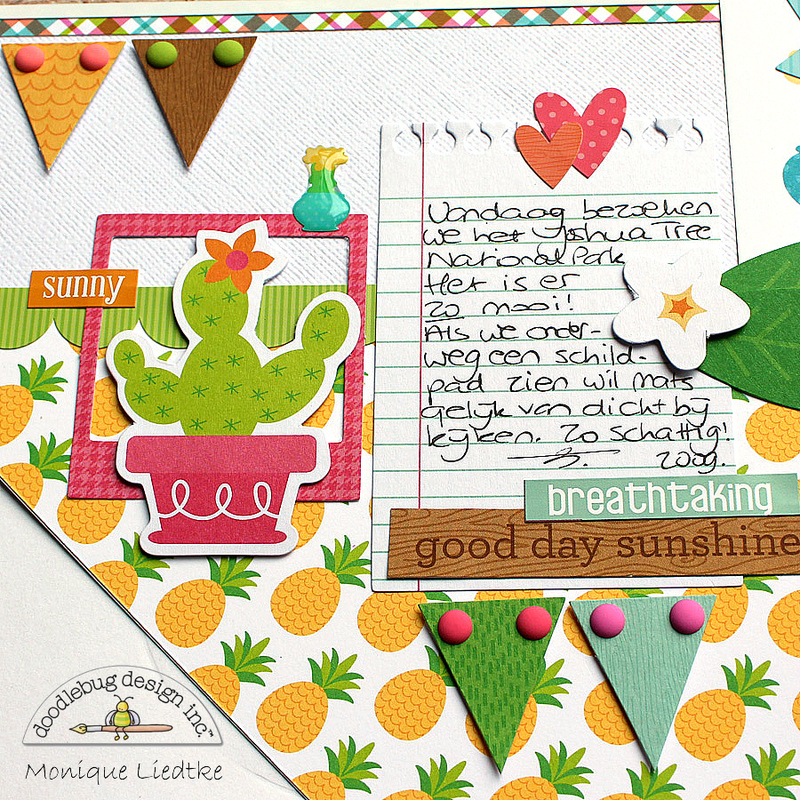 I always love to use these kind of cut files because of the possibility to use many different papers with different colors and designs. Next I adhered the photo and the "Hello Sunshine" card. Because I always place the adhesive only in the middle of the photo and in this case the card I'm always able to slide other strips of paper and embellishments (partly) behind it later-on. Here are a few close-ups of this layout. I'm so happy the "Odds & Ends" were added to the new collections!! Isn't this palm tree super fun?! or the cocktail in the last photo?! 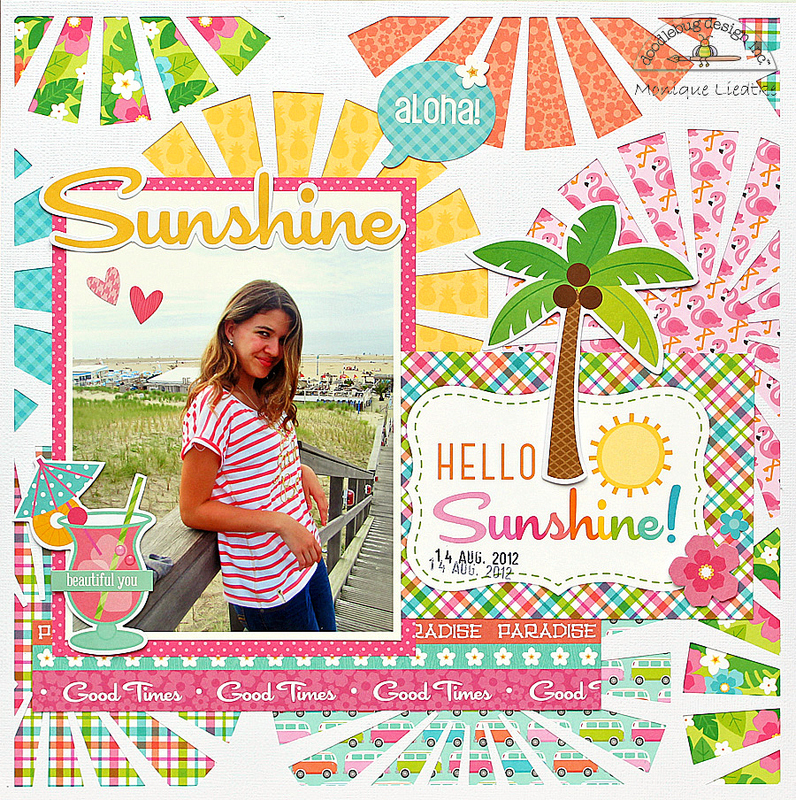 The beach umbrella cut file is a free cut file from Scrapbook & Cards Today Magazine. And now on to my second layout, the "National Park" layout. The photo I used for this layout is an old one, from 2009. We visited the Joshua Tree National Park in California and had an amazing time. When I saw this new Doodlebug collection I just knew I had to print some of the photos of the park to use with this collection. Here's one where my youngest son discovers a turtle walking along the side of the road. He had never seen anything like it and was totally in awe! And here are a couple of close-ups of this layout: the cactuses in this collection are soooo perfect!! 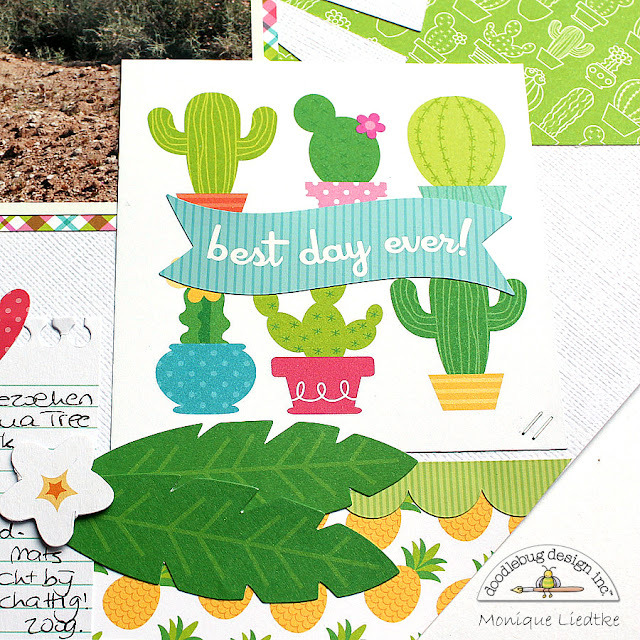 I used both the paper with the cactus design, the "Desert Flower" Shape Sprinkles and the cactus die-cuts from the Odds & Ends package. And don't you just love the "Matte Sprinkles"?! For more photos of this awesome collection, hop over to the blog post from May 17 where the entire collection is showcased! I can't wait to see what you all create with this awesome collection. Don't forget to share on our Facebook page or link us on Instagram. Thank you so much for stopping by our blog today! Wishing you a wonderful day! Both of these layouts are stunning! Great job Monique!!! These are just gorgeous Monique! I am in love with the cool cut file on the first layout and the bright, fun and totally happy feel of the layout!! Your layering and accessorizing with embellishments is spot on perfect!!! Wow Monique, love your layering end colorchoice and as always the perfect embelleshing! Great use of the cutfile and papers! 2 awesome LOs! 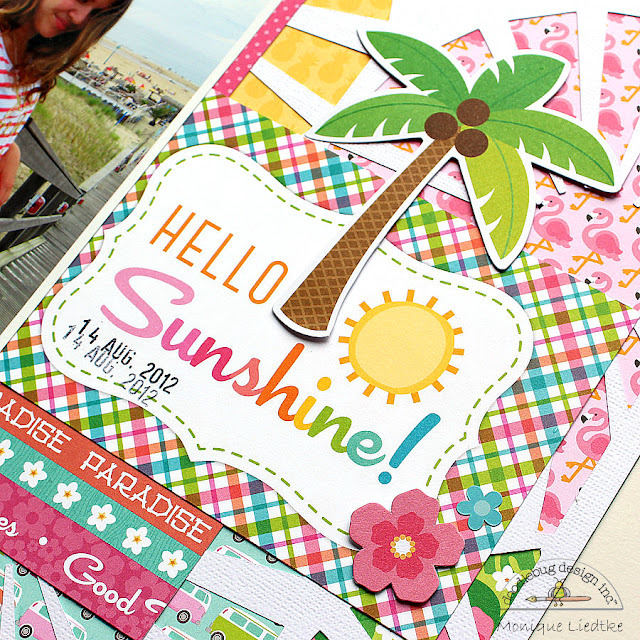 I love how you used the beach umbrella cut file for your background on your beach page. 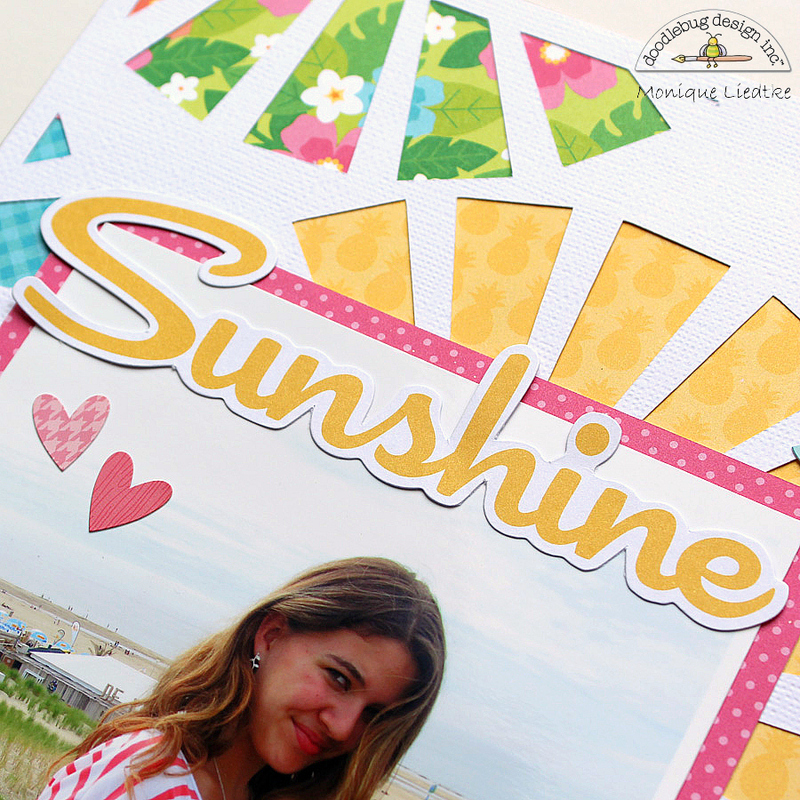 All of the gorgeous patterned papers that you incorporated into both pages created such a vibrant and cheerful look. Wonderful job!